When it comes to any type of holiday, two weeks in Mexico, a weekend in Devon or even a night in Manchester I get super excited to make a list of what to pack. I immediately decide what bag/case I’m going to take and mentally start filling it! Yes, I count a night in Manchester as a little holiday, as it gives me an excuse to take a suitcase! A couple of weeks a go I spent the night in Manchester as I went to see The Courteeners at Heaton Park. 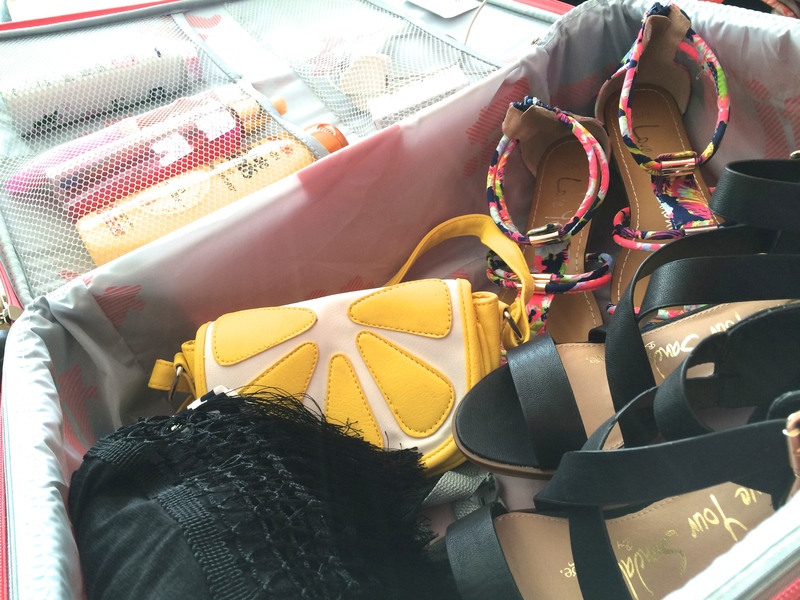 Just before I had started my mental packing, this coral suitcase* arrived from ASDA. Immediately I knew that this was coming with me and I started filling it. I’m a bit of a luggage hoarder, so was rather excited to own this one, as it’s one of those really light cases (1.8kg), which means you can fill it with more stuff when going abroad! When choosing this from the ASDA luggage shop, it took me forever before I settled on this one. This was only £30 and will be perfect for my hand luggage next time I go abroad (not this year, sadly!). If you are looking for something similar, definitely check ASDA out. They have a huge range of styles/sizes and if you love luggage like I do (totally not sad), you’ll spend a couple of hours lusting over various pieces! I’ve always loved George for clothes and would arrive at my job at Greggs half an hour early so I could have a browse before hand (it was only round the corner – win)! They are killing it with their holiday shop, not only is it full of essentials for Summer, there are some gorgeous patterns and the shoes are amazing! I’ve always been partial to a gladiator sandal, and it seems as though they are back with a bang this year! I’ve gone for these floral ones* as I’m all about statement and comfort! Accessory-wise I’ve seen so many fruit inspired bags, I knew I had to have this lemon cross body* number, after all who doesn’t love being a little more fun with fashion in the summer? 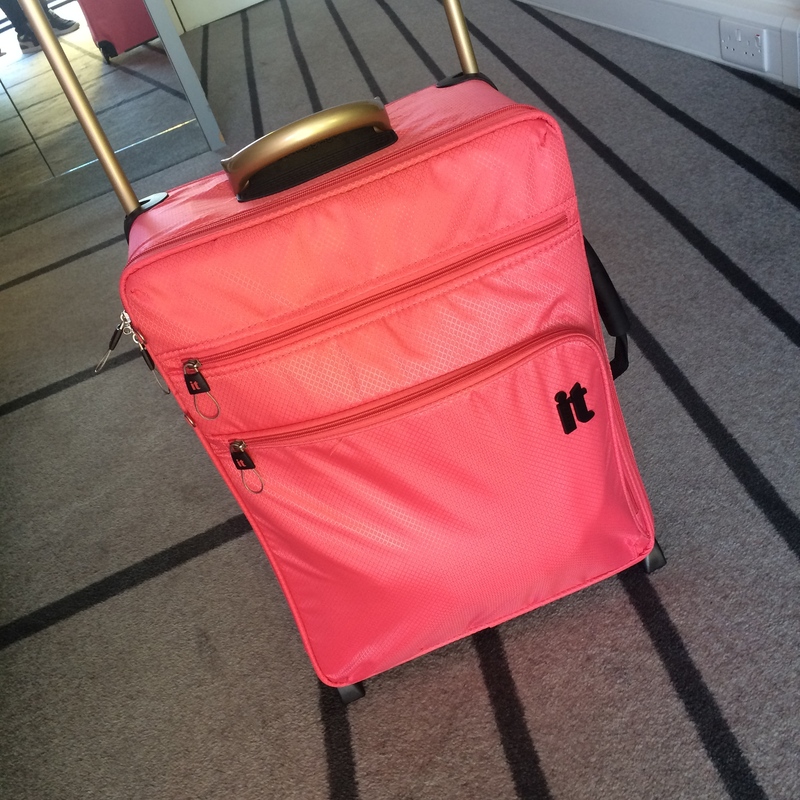 Anyone else love luggage… or am I just a little odd!? Love the color of that suitcase, you’d see it a mile off the conveyor belt after landing! George have got some amazing summer pieces in right now, especially in the swimwear department! I need to book me a holiday so I can hurry off and buy some!